Woman exercising, Chattahoochee River, Atlanta, Georgia. 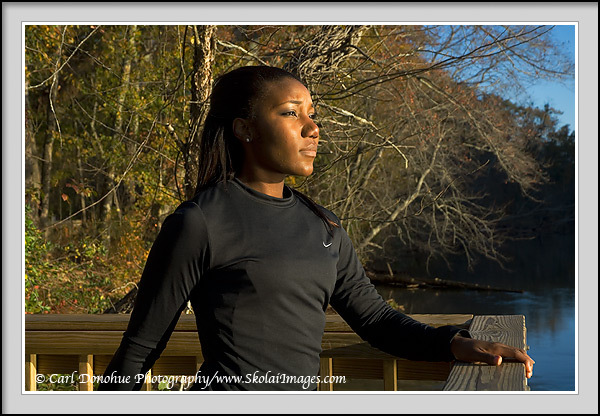 A young African American woman watches the morning over the Chattahoochee River, near Cochran Shoals, sunrise. Outdoor athlete stretching and warming up before a trail run, Chattahoochee National Forest, Atlanta, Georgia.